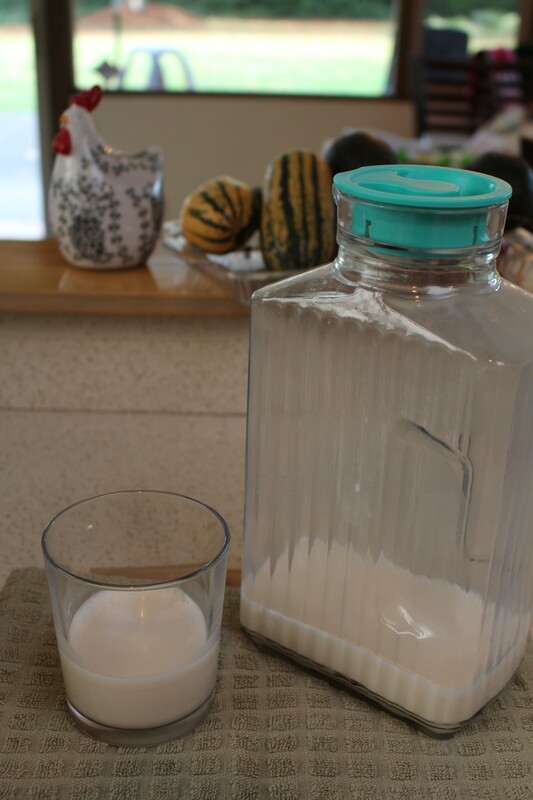 People look at me like I am crazy when I tell them I make my own almond milk. They have built it up in their mind as a huge undertaking but the truth is that the hardest part is remembering to soak the almonds overnight. Once you have soaked them overnight the actual making the milk only takes a couple minutes. Almond milk doesn’t last long (about 2-3 days) so you could cut this recipe in half and just make 2 cups worth. It all depends on what you are planning on doing with it. I use it to cook with and drink so we normally have no problem finishing it within a couple days of making it. Soak almonds overnight in refrigerator. Strain off water and rinse thoroughly. Add to almonds and water to Vitamix or blender. 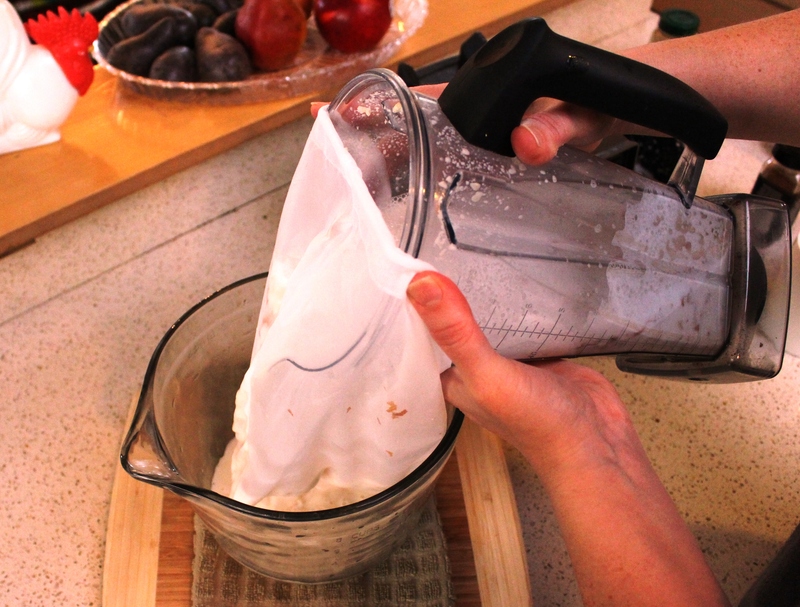 Strain through almond milk bag into wide mouth bowl or pitcher. Stir in the vanilla. Milk bag to get all the goodness out. Makes 4 cups (32 ounces) and keeps for 2-3 days.